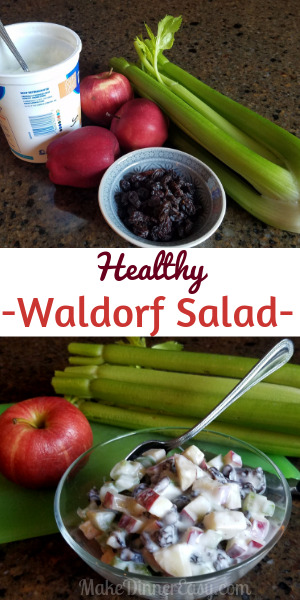 You can't get much easier than this Healthy Waldorf Salad recipe! 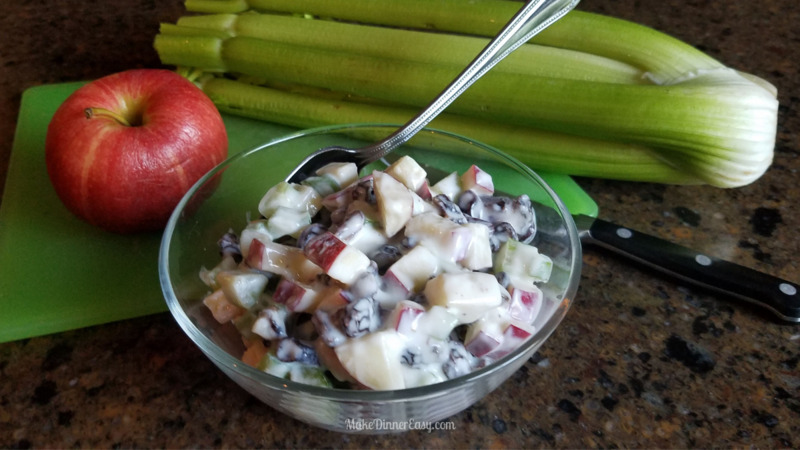 I grew up eating this side dish but never really liked the combo of mayo and fruits that my Mom made. 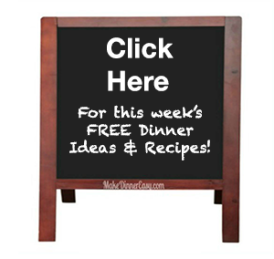 This recipe substitutes the traditional mayo for vanilla yogurt. I've also thrown in a little trick I use whenever I use raisins in a recipe. You can plump up raisins, even ones that are quite hard by putting them in a bowl, adding a little water, and putting them in the microwave for 20-25 seconds. Doing this really makes a difference in the consistency of the fruit in this recipe. Place raisins in a microwave safe bowl and stir in 2 Tablespoons of water. Microwave raisins for 25 seconds or until warm and plump; drain and set aside. Leaving skins on, core apples and dice into ½” chunks. Dice celery. Mix all ingredients together and serve.